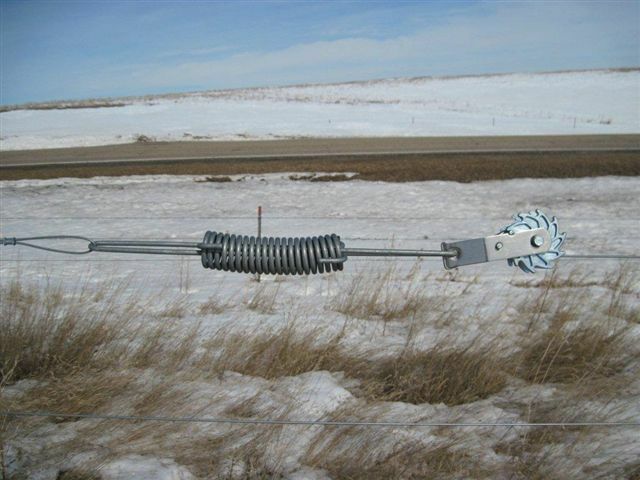 We sometimes get asked about how PasturePro Posts hold up in snow loading; and the ultimate spring melting that occurs in the snow belts of North America and Canada. Frankly, it’s a question that makes me cringe, and the cringe comes from the fact that any post - t-posts, fiberglass, or a PasturePro post – is going to be challenged under these kinds of variables and it really depends on how the fence is built on whether the fence holds up to these conditions. 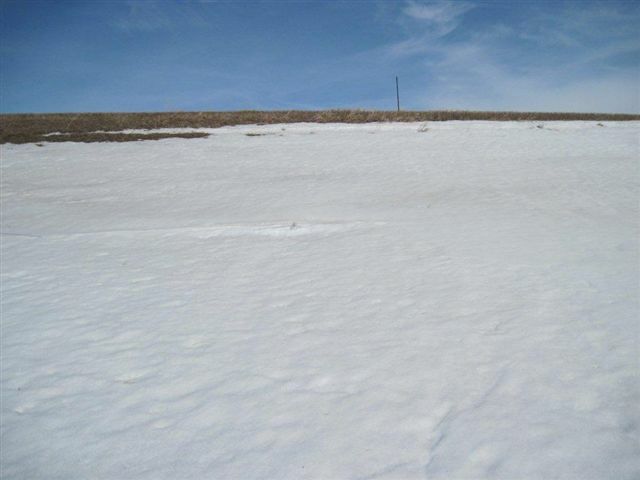 A sheltered draw in a windswept prairie will catch a LOT of snow, wind and ice during a normal winter in South Dakota. The overall concept of any fence involves the thought of it being able to withstand pressure horizontally. But, with the case of a 10 foot snow drift, the challenge is; what happens when this unimaginable mass of weight begins to melt and move downward during the spring meltdown? Last winter I was contacted by a rancher in South Dakota. 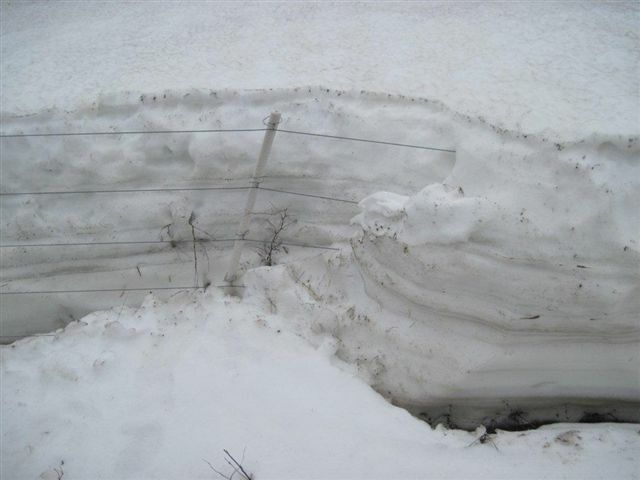 He had recently built a new fence (using PasturePro Posts) through a draw that traditionally caught a lot of snow. He was somewhat tired of rebuilding the old barbed wire fence every year without fail. I told him: I think we will be OK, but I probably had some hesitation in my email voice. We emailed back and forth and I asked him if he could take some pictures of the fence as spring approached – he said he would. And he did. Below is an unedited email with pictures of how this fence did this past winter. …Well, the verdict is in, and while I need to modify things a little bit moving forward, I’m very happy with the overall results. While the snow pulled the cotter keys down and put a slight permanent bend in the wire, I can find no damage to the posts. There are no missing cotter keys, and there is no need to stretch the wire. I did have spring tensioners on both sides of the draw, so that probably helped too. As you’ll see from the attached photos, the fence looks really good. So far, I have done nothing to it after the snow melt. 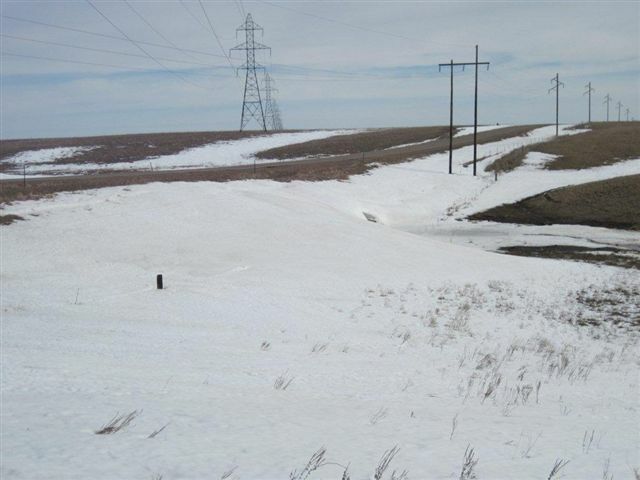 The only problem is that my 6-wire fence became a 5-wire because the posts got pushed into the saturated ground by the melting snow from above. So I’ll have to pull some of the posts up 6 inches or so to keep my bottom ground wire from rusting. So the next time I build fence in a situation like this, I’ll probably use some droppers and install fewer driven posts. (It’s taking me a while to get over the old pre-electric fence mindset of needing lots of posts, but I’m getting there.) I could probably use the larger diameter posts too. I used 6’ x 1.25” posts on this project. In the last photo, you’ll see a comparison of the new fence with the old fence beside it which we haven’t torn out yet. Of course, the new fence has just been through one winter, and the old fence has been through two winters since the last time it was cobbled together, but it still gives you an idea of what the old barbed wire fence looked like after each winter! The worst part was, after investing a day in repairing it; you just knew it would be that way again next spring. You’ll notice how the old steel posts were bent over by the snow. The only PasturePro posts that look out of line are that way from running water. They flexed some when the snow started to weigh them down, but then they straightened up. 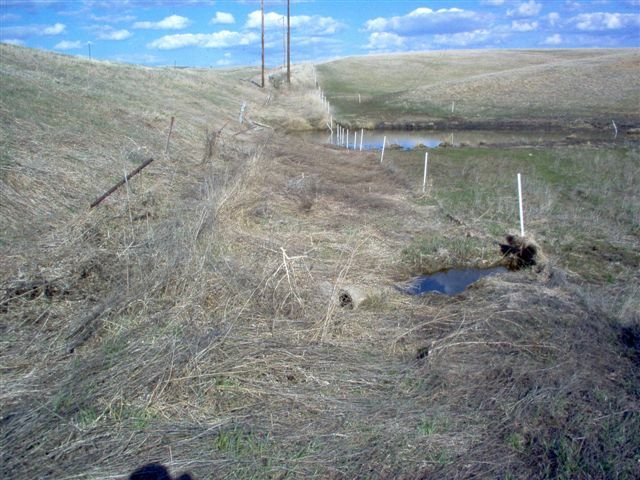 This spring, all I’ll need to do is tie poly wire back across the water gap by the culvert and pull a few posts up a little, and I should be in business. A big improvement! 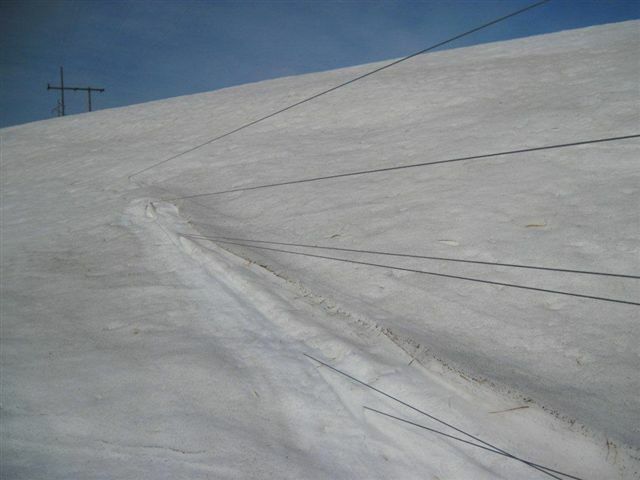 Image 2 - Snow overview, side view. Indication of top wire and tip of post. Image 4 - Starting to melt. Close up of post top. Image 6 - Starting to melt, very tight compression spring! Image 7 - Spring is here. View of post. Image 8 - Spring time after melt. A side view of fence. Image 9 - A side by side comparison of the old barbed wire fence and the new fence. Brad has done such a great job of documenting how this fence reacted to the pressures of nature that I don’t see any need for me to ramble on any further. I think that I am going to be in Mitchell, SD in August for the DakotaFest Farm Show, so I am hopeful that I can stop by for a visit. Thanks again Brad for sharing this with us. Gary has been active in the fence business for over 15 years. He also raises Highland cattle in a management intensive grazing system and was the first person to market the PasturePro post back in 2005. He enjoys discussing all things grazing and is the main contributor to the blog. This entry was posted in Fencing Tips, Installation. Bookmark the permalink. For us “southerners” it’s hard to imagine that much snow and ice on a fence. 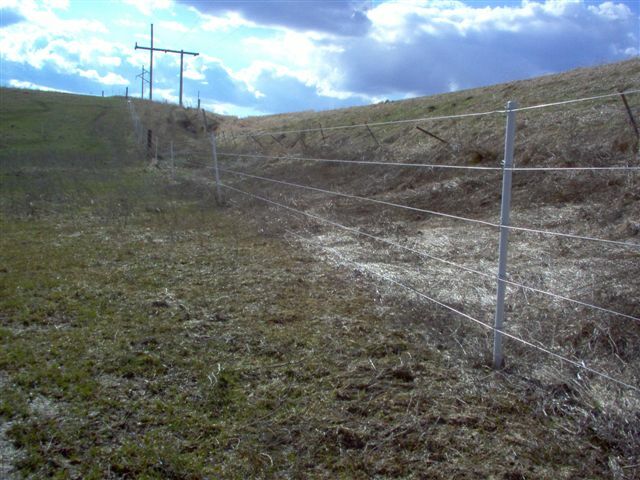 How do you keep livestock from just walking over the fence and right out of the pasture? Good looking fence. I see you installed line boss wood posts throughout. Do you think they were important in keeping the fence from bending all the way to the ground? Do you have any ideas on how to keep the fence from getting shorter during the next winter? We did winter about 500 head of bred heifers in this pasture. It’s over 300 acres in size, we try not to feed very close to spots like this, and the cattle fall through the snow anyway when the temps stay low. 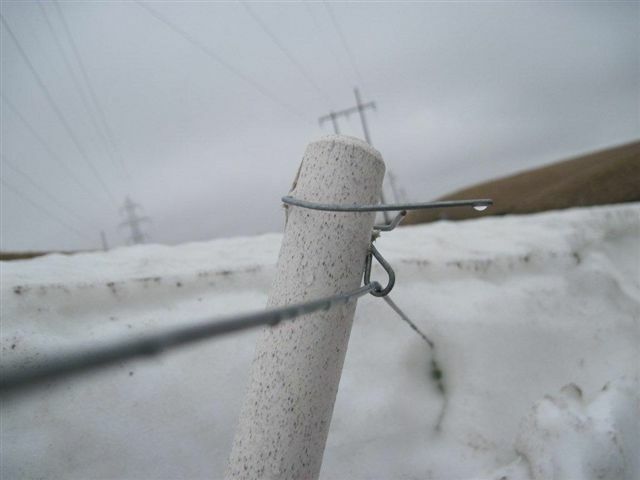 When the snow starts to melt and refreeze in the spring, the snow does get hard enough for cattle to walk on, so I do put a polywire and some step in posts out around the buried fence to keep cattle away until the snow’s gone. Aside from railroad ties at dips and rises, I used PasturePro posts on the fence. I thought their ability to flex might help them absorb the pressure better than other types of posts. I built a similar fence a couple years ago using steel t-posts. 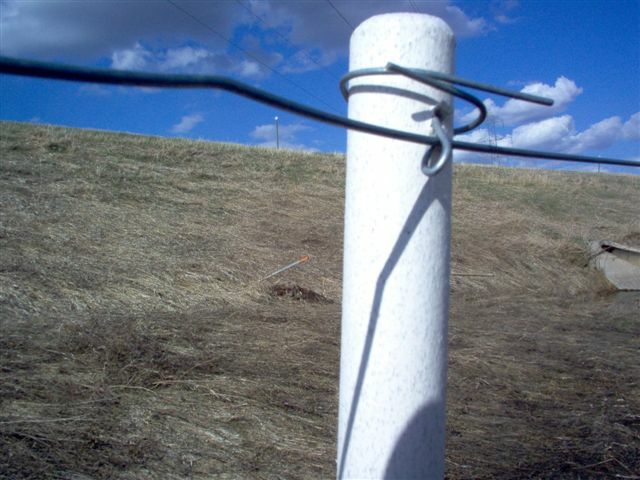 I used the highest quality high-tensile wire that Kencove sells, and I was really happy with how the wire held up, but I have to pop most of the plastic insulators back on the t-posts every spring, so those are getting worn out.